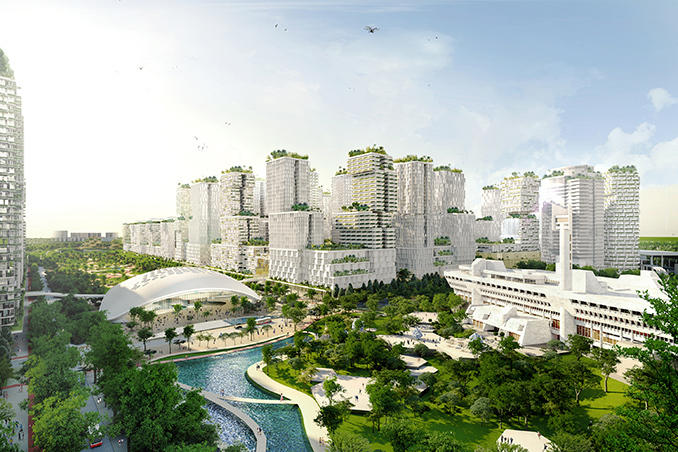 The Urban Redevelopment Authority (URA) has unveiled the masterplan for Jurong Lake District in Singapore, the city’s future second Central Business District. 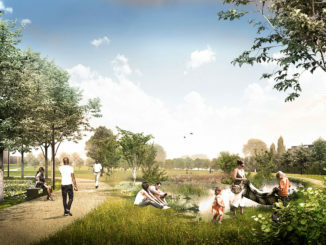 The masterplan is exhibited till mid-September and invites the public to share their views. 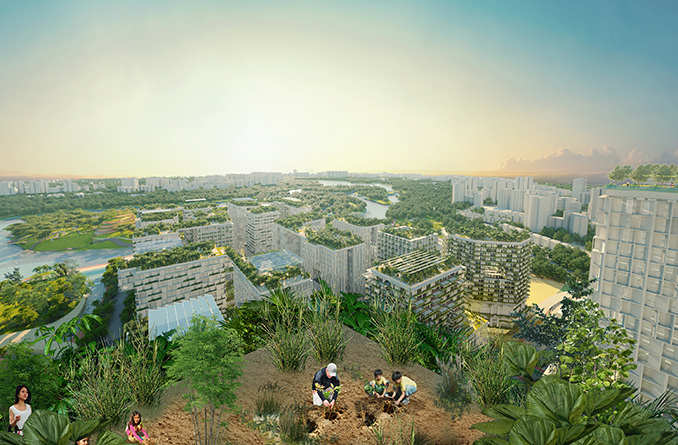 KCAP Architects&Planners, leading a multi-disciplinary team consisting of SAA Architects, Arup, S333 and Lekker is responsible for many of the key ideas developed in the plan. 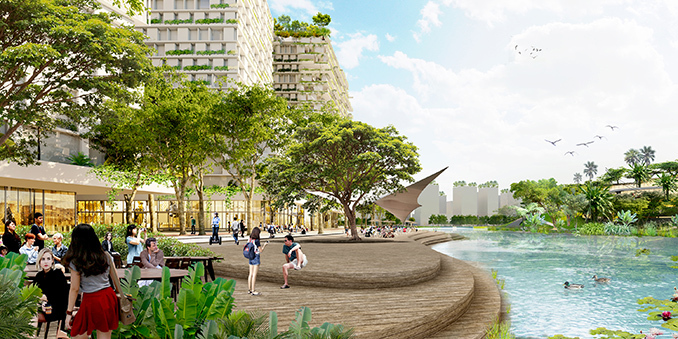 The high-density urban typology maximizes vertical urban greenery within a vertical city next to the beautiful Jurong Lake Gardens and creates a streetscape network for active mobility, walkability and interactive public spaces. 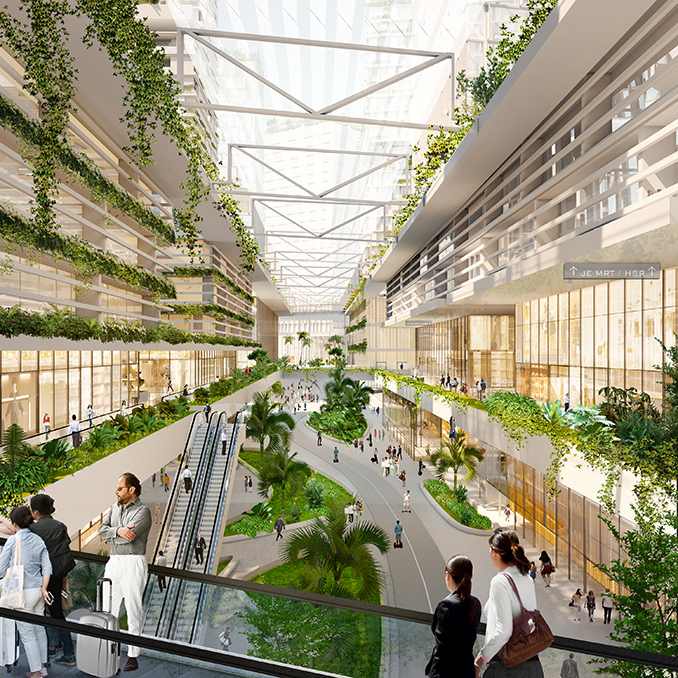 The integrated, sustainable urban systems maximize the streetscape by proposing to place all major transport and engineering below the city, creating layers of optimized infrastructure and a car-lite district. Existing heritage buildings, landscapes and ecosystems are respected and repurposed in a powerful dialogue with the new development. 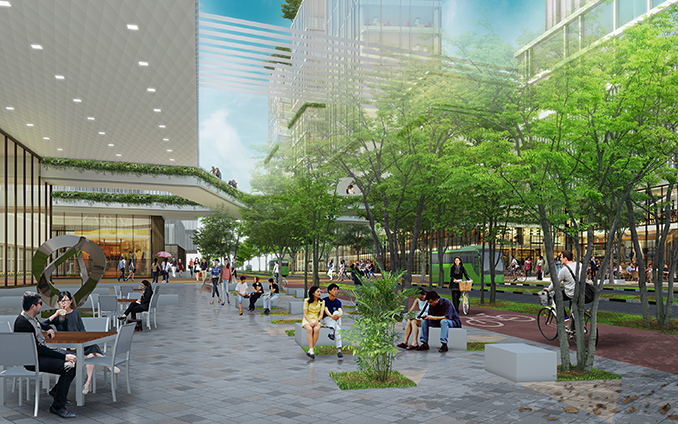 With its strategic location, open environment and live-work-play programming, the area will become a new gateway to Singapore and can also be the new hub for the emerging science and innovation corridor in West Singapore. The exhibition is the first public presentation of the project in all its facets. It completes an important phase of the design work and provides a well-founded basis that can be submitted to the public for feedback. With the opening of the exhibition, a dedicated website with in-depth information about the project will be launched, www.jld.sg. 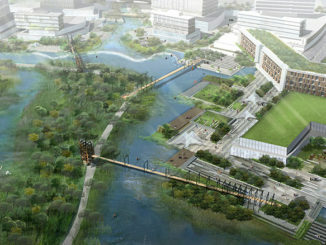 A very well thought out, green – smart-city. Most impressive urban planning design, yet!